We know you'll be inspired by the MADWEEK 2019 lineup, including exhibits, family & kids day, films, networking events, studio visits, tours, workshops, and more! Download a PDF with highlights of the MADWEEK 2018 Program here. 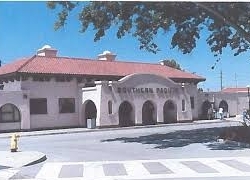 Modesto’s landmarks span different eras of the city’s history. This tour focuses exclusively on 59 established historic landmarks in the city. Download the "Modesto Landmarks" tour guide here. Throughout the mid 20th century, Modesto was on the cutting edge of modernist architecture. This tour will introduce you to a selection of Modesto's modernist gems built between 1937 and 1972. 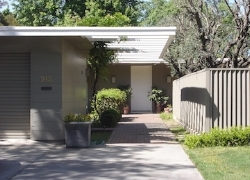 Download the "Modernism in Modesto" tour guide here. 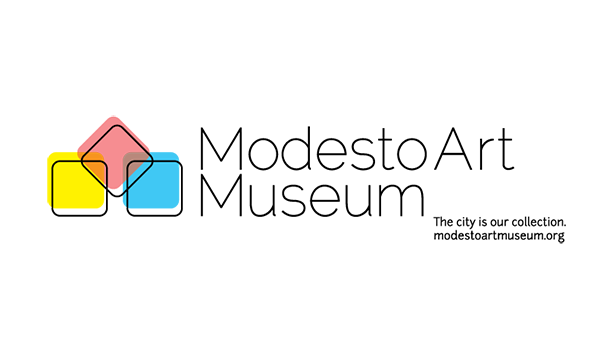 This tour will introduce you to a sample of the 85 modernist buildings and landscapes by noted 20th century designers (1939-1972), as documented by the Modesto Art Museum. Download the "Modesto Modernism" tour guide here. This 2.5 mile tour will take you through parts of downtown and the early 20th century Wisecarver and Caldwell residential developments. Download the "Architectural Pathways" tour guide here. We've collaborated with many community partners to bring you a variety of other opportunities for creative inspiration. Events marked with an asterisk (*) are third-party organized events. Please note that some events require registration! One mile guided walking tour viewing the exteriors of some of Modesto’s downtown architectural heritage. (Registration is required; Maximum 25 participants!) SOLD OUT!!! The MADWEEK Cardboard Challenge & Day of Creative Play will engage families and kids of all ages in designing and building games and other creations from cardboard and recycled materials. Participants can enter their designs in the MADWEEK Cardboard Challenge competition with selected finalists selected for a package of prizes! Come for a sneak preview and tour the new Shire Community Space that is being developed and will open soon in downtown Modesto! Enjoy a program of 13 short, inspiring films about architecture and design. Guided tour of Modesto's premiere restored and furnished 19th century mansion. Founded in 1987, MHD GROUP has received numerous regional, national, and international awards for excellence in the graphic design, branding, web design, public relations, and advertising. Open Studio occurs every afternoon of MADWEEK during which participants have the opportunity to meet the designers behind some of Modesto’s most admired creative firms. Join us for a special tour of Modesto's Old Post Office Building, known as the El Viejo Post Office. Learn about this historic Modesto building’s unique architectural features and its iconic murals depicting 1930s Modesto life. Join us for an unveiling of a new modernist poster featuring Modesto’s iconic Bauhaus-style Hall of Records building, a brief presentation about the historical and architectural significance of the building, and for an opportunity to share your vision for what the Hall of Records should become once it’s vacated! Modesto's second annual TEDx event, featuring speakers with a wide range of topics. Studio Visits occur every afternoon of MADWEEK during which participants have the opportunity to meet the designers behind some of Modesto’s most admired creative firms. This interactive workshop explores how to work creatively, work well in teams, how to be creative “on the spot”, and why creativity is such an effective problem solving approach. Tickets: FREE (RSVP IS REQUIRED - limited to 25 participants). A practical workshop on branding your business or organization. Tickets: $20. Registration is required. A free, behind-the-scenes guided tour highlighting the architectural elements and history of the Stanislaus County Library building in Modesto. DOWNTOWN TINKERTANK is a creative space with high tech tools for community members to invent, learn, and build. We’re delighted to welcome Deanna Van Buren and Kyle Rawlins, Co-Founders of Designing Justice + Designing Spaces (DJ+DS) in Oakland, as the Featured Speakers for MADWEEK 2018 during the Modesto Design Collective (MO.DE) Annual Gathering, on Tuesday, September 18 at 6:00pm. GALLO CREATIVE started in the 1950s and has grown to over 100 Creative Services employees, each with a wide array of expertise. FREE (registration required, limited to 20 participants) SOLD OUT!!! RED INC ARCHITECTS is a multi-disciplinary architecture firm that has made its mark in the health care, hospitality, education, corporate and retail spaces. Interested to join a group of local area designers to learn more about human-centered design for social innovation? The Modesto Design Collective (MO.DE) is hosting a meet up to form a local design team to participate in the free, 9-week, online "Introduction to Human-Centered Design" course offered by +Acumen and IDEO.org. FINAL CUT MEDIA is a full-service digital marketing + video agency that helps brands cut through the clutter and stand out. We very appropriately kick off MADWEEK 2018 with an iconic cinematic and design masterpiece, Alfred Hitchcock’s classic, North by Northwest, and with a preview of its visionary architectural and design elements.